One of the most common questions I get is, "How did you get your nails so long and healthy?" I figured since so many people want to know, I would do a complete write up on how I keep my nails long. Just like anyone else, my nails do break. I typically get breaks on the corners of my nails because I shape them to be square. More oval shaped nails tend to break straight across. Luckily, I naturally have pretty strong nails that grow relatively fast, and when I do get breaks, they aren't really that bad. Here are my best tips for how to grow your nails out, and how to get stronger nails! These are my nail care must have products! This is probably the most obvious way to improve your nails. There are a lot of base coats or nail treatments out there that will help make your nails stronger or grow faster. I use Essie Grow Stronger Base Coat, but I have heard good things about OPI Nail Envy and Duri Rejuvacote. I think that you should just find what works for you! As you can see, my bottle of "Grow Stronger" is very well loved, and more than halfway empty. Drink More Water and Milk! A lot of people don't even think about this, but drinking water is imperative to growing your hair and nails, not to mention to keep you healthy! I don't know if this is just me, but if I don't drink enough water, my nails will grow slower and possibly more brittle. Water has so many other benefits as well, such as clearing your skin. As for milk, the calcium in milk is necessary for bone health and the calcium also can make your hair and nails grow stronger and longer. Thousands of people bite their nails, and it is a very common habit. But obviously, if you are biting your nails, you are probably not letting them grow! If you are having trouble kicking the habit, your local beauty supply store will most likely have special nail polish that tastes awful when you bite your nails. It will help remind you to stop. Another common habit is picking at your nails or cuticles. When you pick at your nails or pick off your nail polish, you run the risk of peeling off layers of your nails and making them more brittle. I have no scientific evidence to prove this, but I find that picking at your cuticles affects nail growth, because whenever I have dry cuticles, I find my nails get more brittle and break more often. In my opinion, healthy cuticles = healthy nails! Continuing on the "healthy cuticles = healthy nails" idea, keeping my cuticles moisturized and healthy has always made a difference in my nails; not to mention it makes your hands look worlds better! 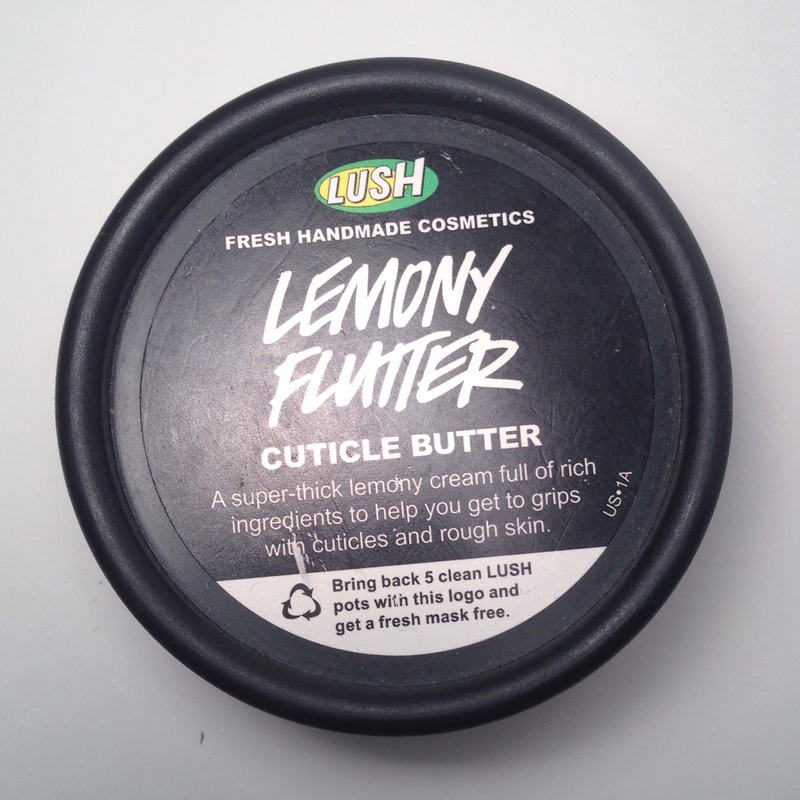 I love to use Lemony Flutter Cuticle Butter from Lush because it is so moisturizing and I love the smell! Originally it was my sisters, but I use it so much now because I love it! 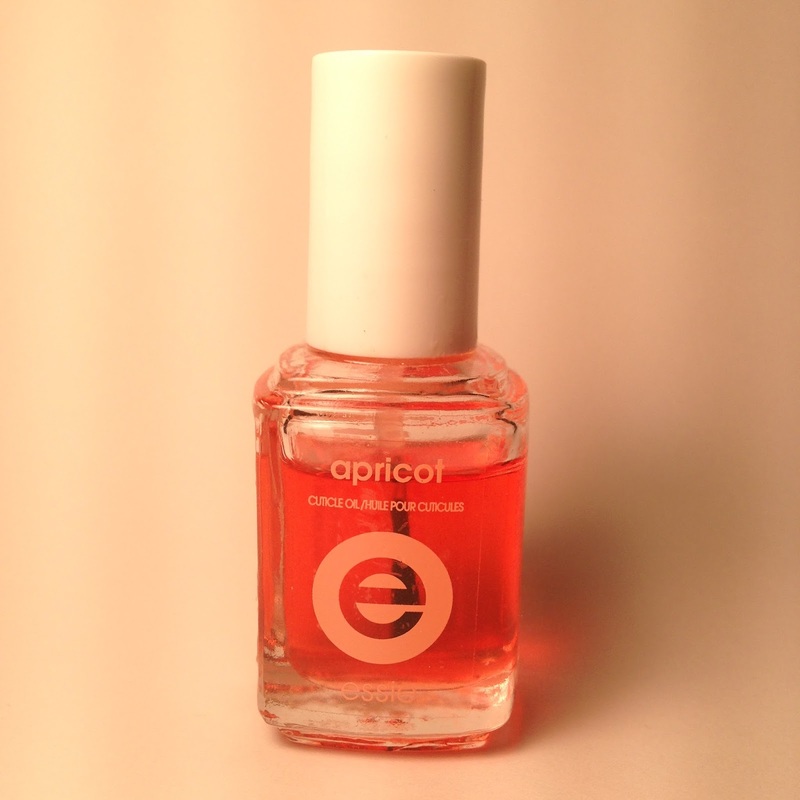 I also use Essie's Apricot Cuticle Oil, which smells yummy and fruity and does a great job of softening my cuticles! I would suggest to make a habit of using some sort of moisturizing product at night, so it can absorb while you sleep. 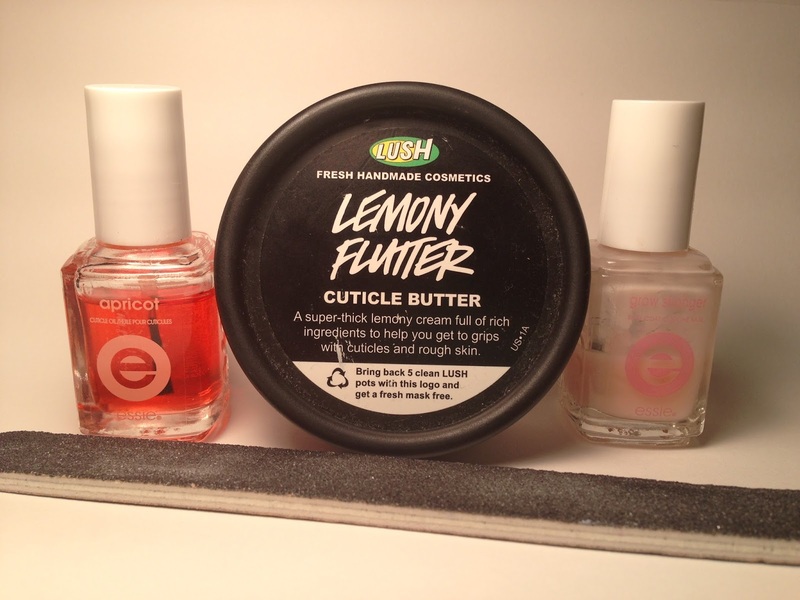 Just keep your cuticles healthy and moisturized, push them back more often, and you will see a huge difference! I always use Essie's Apricot Cuticle Oil before I push my cuticles back. The oil softens them as well as moisturizes them, and makes them much easier to push back. This is seriously one of my favorite nail care products... It is so moisturizing and I love the smell! All your nails really need is a little TLC! Remember to be patient, though! Nails can take pretty long to grow out at first. As for shaping my nails, I like mine square. Your nail shape is completely a personal preference! My sister prefers hers to be oval, and my mom usually goes for something in between square and oval. Try some different shapes and fine what you like. To shape my nails, I file straight across to get a straight free edge, and then I file the sidewalls of my nails to get the corners sharper. You can also round off the corners if you would like, which also makes those sharp corners less likely to break off.